A recent campaign by the Danish Atheist Society to encourage members of the Church of Denmark to desert their faith has resulted in a massive exodus across the country, leaving baffled priests counting the losses. The Danish Atheist Society (Ateistisk Selskab) has been appealing to the hearts and minds of their fellow Danes by placing full size ads on public transport, as well as creating clear and concise instructions on how to leave the church online. Following the guidelines on the Society’s website udmeldelse.dk, leaving the Church of Denmark has become as painless as unsubscribing from an unwanted email list. So far, over 3,000 people have taken advantage of the website, which forwards the required paperwork directly to church authorities, Anders Stjernholm of the Atheist Society told the Christian newspaper Kristeligt Dagblad. The bus advertisements for the “Think for yourself” campaign feature such challenging questions as “Did Jesus and Mohammed talk to the same God?” and “Why does true belief have to cost anything?” However, the real selling point of the campaign is that leaving the church will save the average Dane some 133,000 kroner (roughly 20,000 dollars) in church taxes during his or her lifetime, which is no trifling matter. According to Kristeligt Dagblad, there has been a marked increase in those leaving the Church since the campaign got underway. The parish of Vejlby near Aarhus, for example, saw 14 people leave during the first week of the campaign, which is way over normal levels and a cause of real concern, according to parish priest Lena Kjems. “The most common group is men between the ages of 18-25,” Kjems told Kristeligt Dagblad. Besides being detrimental to the Church’s public image, the shrinking flock is also a significant blow to the ecclesiastical budget, as taxes actually count for 77 percent of the church’s total income. The 3,000 leavers reported by the Atheist Society alone are likely to cost the Church up to 9 million kroner (1.4 million dollars), according to the Kristeligt Dagblad report. 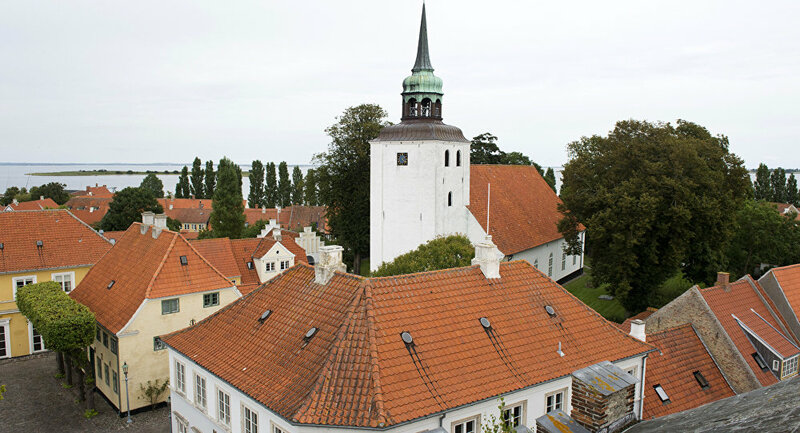 In Denmark, a nation of 5.6 million, citizens automatically become members of the Church of Denmark when baptized, but may leave of their own accord through a written application to the parish where they belong. As of 2016, there were just under 4.4 million members of the Church, accounting for 76.9 percent of the population, which is already a significant decrease from ten years ago, when 83.1 percent were registered as church-goers. The same downward trend may be witnessed in Denmark’s neighbors, such as Norway, Sweden and Finland, with the proportion of atheists slowly crawling upwards. Less than half of the registered church members in Norway have been reported to actually believe in God. This entry was posted in Featured News, News and tagged Denmark, Kristeligt Dagblad, Lena Kjems, Norway, Sweden by Orthodoxy Cognate PAGE. Bookmark the permalink.